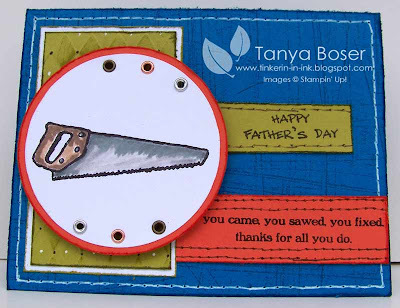 I made this card last night when I made the girlie one. This one would work for a guy or a girl, which is helpful if you are justing keeping some on hand! 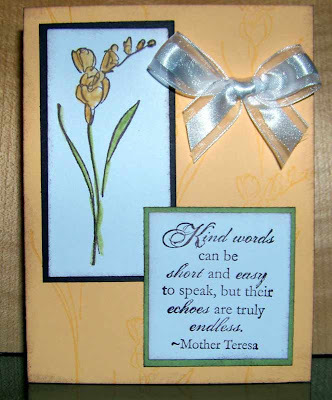 I have 2 kids graduating from high school this year, and I am sure I will need tons of cards for all the friends they have! I'm also thinking of doing some cards with the school colors. These are NOT the school colors here tho, lol. This card actually came together rather quickly. I have been trying to use card sketches and color challenges to help speed things up, which seems to be working well for me :) I used a MojoMonday card sketch and a Kristina Werner color challenge, both from a long time ago, thus the use of the retired colors, oops! Close up to show all of the dimension on this card. I think I will need to buy more dimensionals soon, I can't seem to stop using them lately! 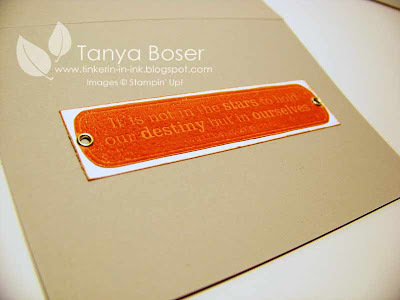 And here is the inside of the card with the embossed sentiment. I think I better make some more! Well, it's getting to be that time of year again. Lots of graduations coming up, lots of new beginning's and major achievements. 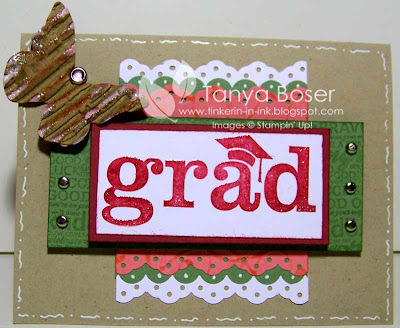 And time to make some graduation cards! Here is a very girlie one I just made tonight. I also love the way the scalloped border edge looks tucked between the 2 layers of eyelet border. This is a close-up of that gorgeous butterfly. I just LOVE it! Doesn't it almost look like it has frosting on it?! Of course, now this card won't fit in an A2 envelope, but I have a stash of envelopes in various sizes, so I found one that will work :) Pack-ratting does work sometimes! This is the inside of the card. 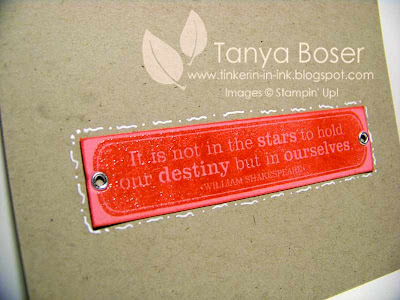 I inked the stamp with Versamark, then inked it again with Regal Rose, then stamped it on the Regal Rose paper. then used clear EP to emboss it. Just yummy in real life! 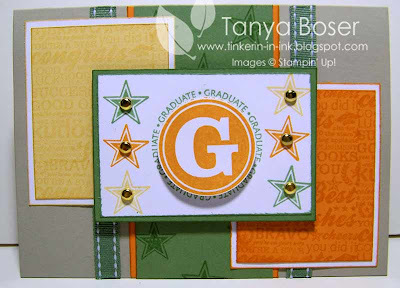 You can't tell in the pics, but I did the same with "GRAD" on the front of the card. My department supervisor's husband died on Saturday morning after a week of being comatose after a brain bleed. Very sad. Roxanne and Stuart loved each other so obviously in their quiet way. You know the type of relationship. Their faces always lit up when they saw each other or when they talked about each other. The little touches and the body language all screamed tenderness, love, and caring. 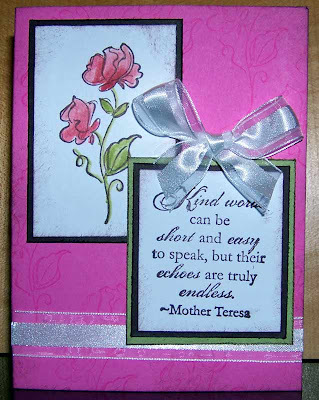 I had been thinking about doing a Thinking of you card for her on Friday, then a co-worker called Saturday morning to let me know that Stuart had passed away at 4am. Would I like to make a card, she says. Uh, duh! Of Course! Then she says "How long do you think you need to get it done, cuz I could come get it this morning." This was at 9:30am. I wasn't even out of bed yet when she called! But I told her to give me an hour and I would get something put together. Good thing I already had a card layout in mind and knew which stamps I wanted to use. So, at 11 am she shows up at my door. Hey, she even gave me an extra half hour, good girl! Then she watched me finish up. I made a standard A2 sized card- not thinking! Everyone in our dept is going to sign this thing, need more space! So half way through making it, I decided I needed to include an insert for a continuation of signatures. It all worked out. And here it is! I think I can say that I am happy with it. I just love this card layout and wanted to make another card with it, a girly one :) I'm really lovin the stuff I have done in the last few days, I hope the creativity continues, if you know what I mean! 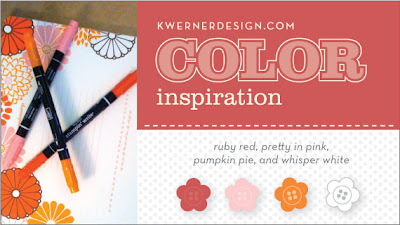 I also used an kwerner color inspiration. Isn't she great at finding inspiration! So, here is my card. Doesn't it just make you think of pink frosted cupcakes and girly giggles! 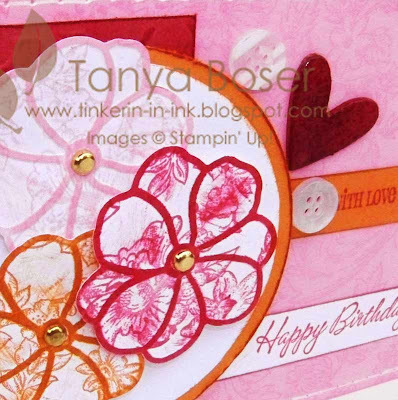 I used a chipboard heart that I colored with Real Red ink using a sponge dauber, then covered with Versamark and clear embossing powder, then heat embossed. It of course looks better in real life!The flowers are stamped with Bella Toile BG, run through the Big Shot with the Simple Flower Embosslit. Then I rubbed an ink spot in the same ink over the raised parts, popped a gold brad in the center and arranged on my circle with glue dots and a dimensional. 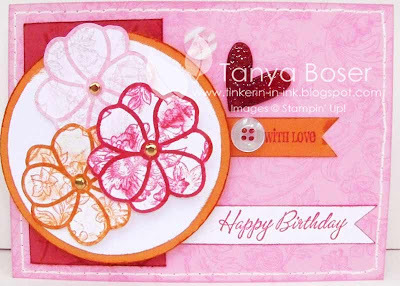 The piece of Ruby Red behind the circle is embossed with the Flourish texture plate with the Big Shot and inked with Ruby red. I used some of the buttons I got at a garage sale ages ago when I was sewing clothes for the kids all the tim....we won't think about how long ago that was.... I'm pretty sure some little old lady had harvested them from old clothes for years, lol! Here is a close up of some of the details. It's been good to give some of my old favorites some inky love lately! Let me know what you think. I have been meaning to do this page for years! I did the journaling way back when this happened, which is a good thing because I forgot some of the details already! Sorry if the pictures gross anybody out, me and my friends are almost all nurses so we think it's cool cuz it's a pretty impressive dislocation/break, lol! I'll give you the recipe, then after that I'll add the journaling for those who want to know the story. What a great way to spend Valentine's Day. It was a Tuesday night, so Jamie and I had volleyball, of course! Things were going great, good volleys & enough players. Then, I had my back to the net, jumped to dink a ball over, & felt an impact to my pinky. I grabbed my hand, looking around to see if it the ball made it over the net. Everyone was staring at me. I guess it was loud. Then Mark says "Did you jam your finger?" I said "I think so." I looked down at my finger and said "Nope. Jamie we need to go to ER." My finger was S shaped! We went right over & got right in, They asked if I could tolerate having xray without something for the pain (which was 6/10) I said yes, they xrayed it, did a nerve block (cause by now it was an 8/10!) & I did not want to feel it going back into place. Then they xrayed it again & sent me home. In the middle there somewhere, Jamie had gone to pick up Charlene from a Speech meet & they were both there when they put it back in place. They were both fascinate (rolling eyes here) The hospital staff were kind of rushing with me because they had been alerted to a plane that was going to try to land without landing gear & they thought they were going to get casualties. But the plane landed safely! And yes, I played volleyball the next week, with my broken finger! 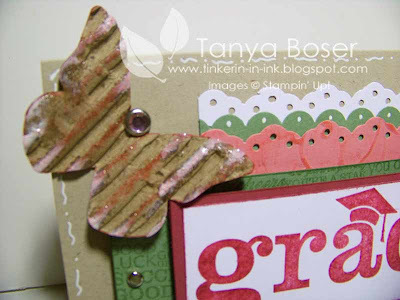 I found an amazing card by Jen Sannes on her blog and had to make my own version. And here it is :) I changed the colors a bit and made my own striped DP cuz I don't have anything that matches, lol! Like I need an excuse to buy more patterned paper, sheesh! Another guy card to add to this spring's collection. I don't know about you, but I never have enough guy cards! There are lots of men in my family, that could be part of it, lol! 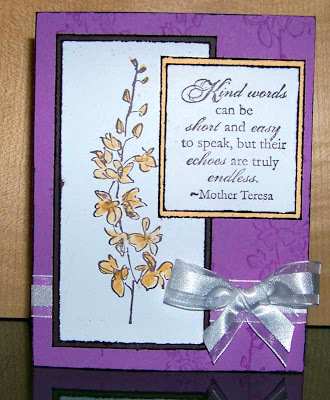 Don't you just love all the texture in this card? I have been using the heck out of this texture plate. 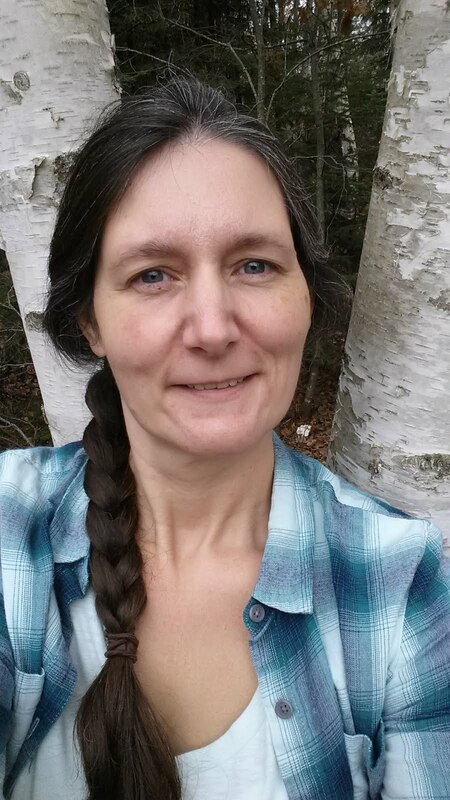 Ok, I am going to try to post more often, and "more better" , as my kids used to say, lol! 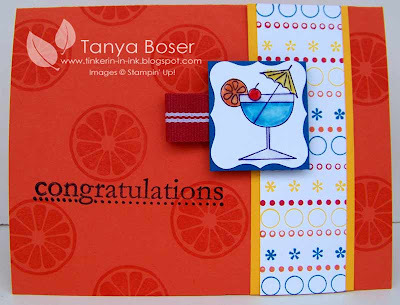 This is a card I made using this Weekend Sketch Challenge. I also got a new watermark. You likee? I likee! I got it from Karen Giron! I have been wanting to get better at using bold colors since I love what others do with them. So here is a bright masculine card :) I also wanted to work on some Father's Day cards for all the fathers in my life, to sell, and to make for Stamp Club. I like this one so much, I might have to do it for a swap someday. I have been having a heck of a time finding good lighting, time, and accurate colors in my photos this month! I guess these will have to do if I am ever going to get them posted! 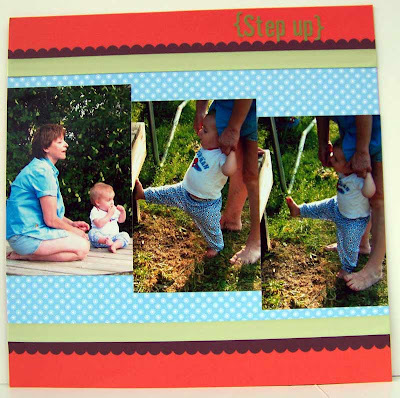 This month we did 1 of 2 versions of a scrapbook page using 2-sided DSP. One was more girly and the other was more "boy-ly", as I said at club, lol! I make up words as go, don't mind me! 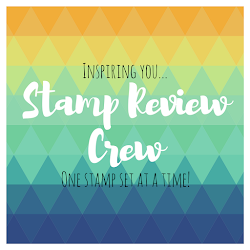 Stamps: NONE, can you believe it! 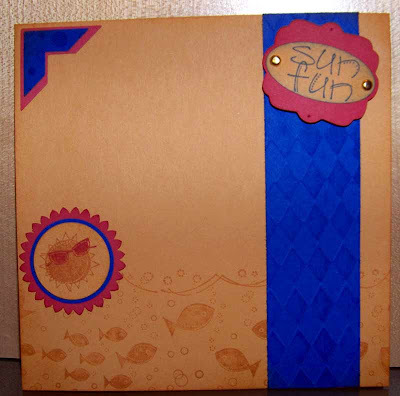 I just didn't have time to come up with some cool embellishments for the pages. 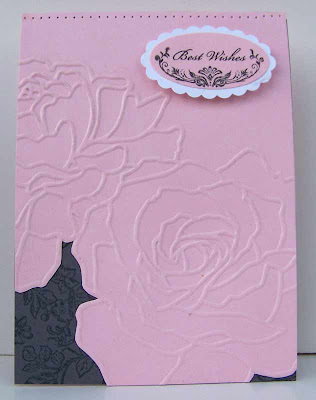 And this is the card we made with the new Manhattan Flowers embossing folder. Very simple and elegant! I totally stole the idea from Janet Tinklenberg. Thanks Janet! You know you are a Goddess of Crafting! 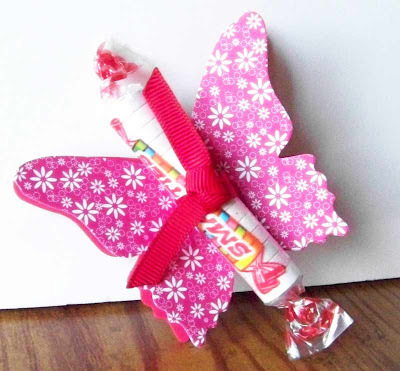 And this sweet little butterfly was copied from Jen Sannes swap from Regionals. This one is Real Red, not pink! This is the one I made for Lisa, I think! And this was for Holly. 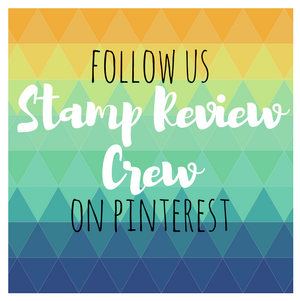 I had the opportunity to go to Stampin Up! Minneapolis Regionals this past weekend, and it was a blast! I met a lot of other crazy women like myself, swapped project, talked, and learned a few new techniques. All well worth it! I thought I would share what I brought to swap with the ladies. This is a gift card/wallet size photo/business card holder. It turned out really cute and really inspired by the need to have something to put my daughter's Senior photos in one morning before she went to school. It will hold around 20 photos. Start with a 7-1/2x4-1/2" piece of pink cs. Score ate 1/4" and 1/2" on each long edge. Then score at 2", 2-1/4", 4-7/8", and 5-1/8" starting on one short edge. Trim off the scored 1/4" and 1/2" parts from the 2" score line down. 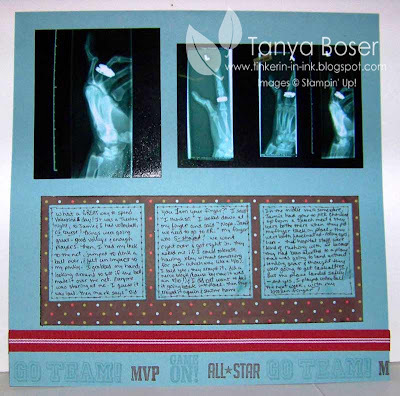 Stamp your images on one side of the paper, on the outside. Fold on the score lines, adhere sticky strip to the flap and adhere to form a pocket. Take a 3-1/2" long strip of Choc Chip and scallop the edge. Trim to 1/2" wide. Adhere to bottom edge of front flap. Use gel pen to decorate as shown. Punch out a Choc Chip Scallop Circle. Stamp frame in Choc Chip on WW. 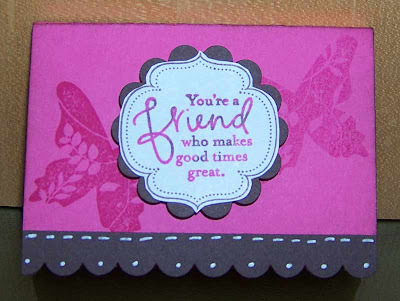 Ink phrase in PP, then use CC marker to color the word Friend. 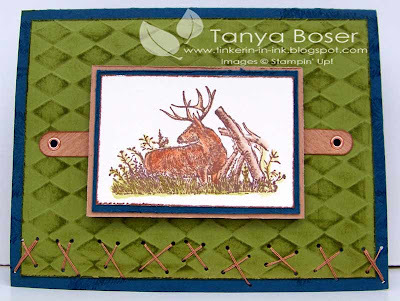 Use Stamp-A-Ma-Jig to line image up in middle of the frame, huff on stamp and stamp image. Cut out the frame. Adhere to the Scallop Circle. Use a dimensional to adhere to front of the box. All Done! And this is the Card Font that I made, with the help of Irene, Krystle, Kaylee, Cassie, and Geoffrey at my Mother-In-Law's house one weekend in March? I think. They were a great help! 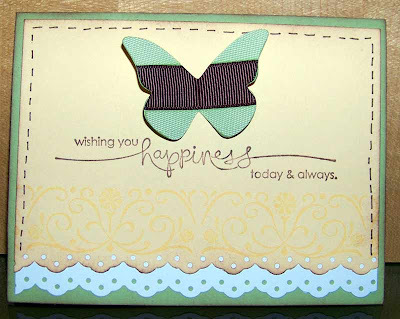 Other: sponges, Eyelet Border punch, Beautiful Butterflies die and Big Shot, tape runner, Choc Chip 5/8" grosgrain ribbon, Certainly Celery 5/8" poly twill ribbon, lighter, glue dots or sticky strip to adhere just the center of the butterfly to the card. I used the same method to make the butterflies as explained here. The rest is pretty simple.